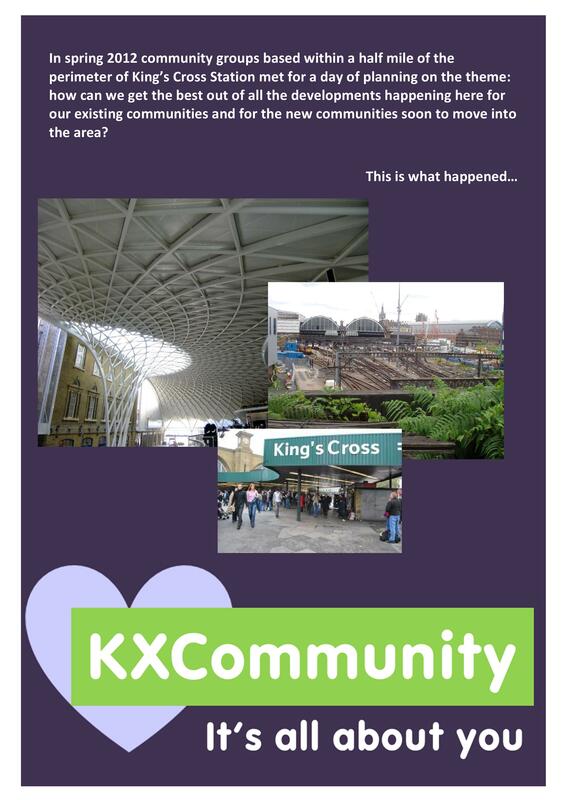 A unique report into how the community might directly benefit from developments in King’s Cross will be launched today as a gift to developers Argent. The launch is carefully timed to coincide with the VIP opening of Granary Square at N1C. Argent faces hefty criticism being a private developer of new public spaces, this new report aims to point Argent towards including rather than excluding the local community from the benefits it brings. 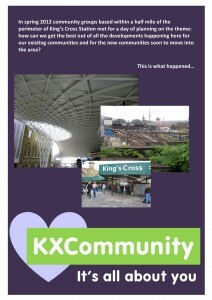 The result of six months’ research by King’s Cross Community Projects culminating in an open space conference held in April, “KXCommunity, it’s all about you” (click here to download) takes an imaginative and exploratory approach which participants hope will spark a new enthusiasm and positive partnerships between private companies and the local voluntary sector.